If you assign each volunteer the times or shifts they are available on the Awards/Avail tab, you can produce a list of just those who are available at specific times. Run Report | Volunteer Reports | Volunteer Available Times to see the Availability settings for all the volunteers. Or, run it with a filter on a specific time block to narrow the results. 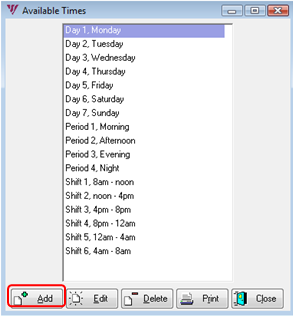 To assign available times to a volunteer, click Edit, highlight a time block in Available Times, and click the Add One button. 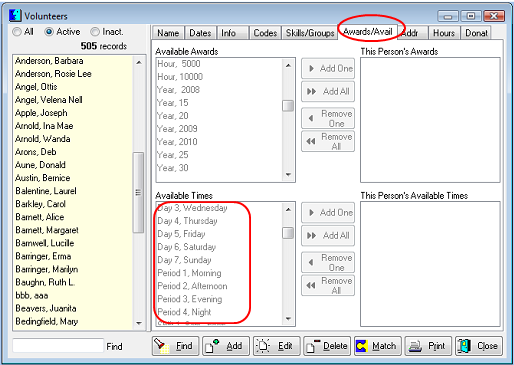 Customize the available times section to suit your needs in Reference Codes. Reference Codes | Volunteer Codes | Available Times. The time blocks arrange themselves in alphanumeric order on the list. 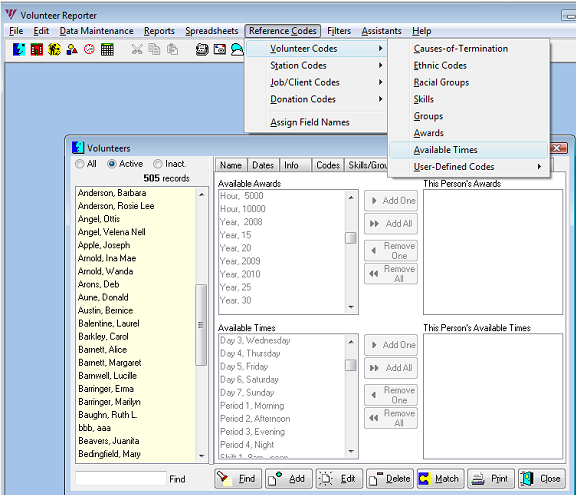 If your Volunteers screen was open when you added Available Time in Reference Codes, close it and reopen it to see your new Available Times. Then click the Edit button to assign them.